Crow Peak has a great hiking trail. 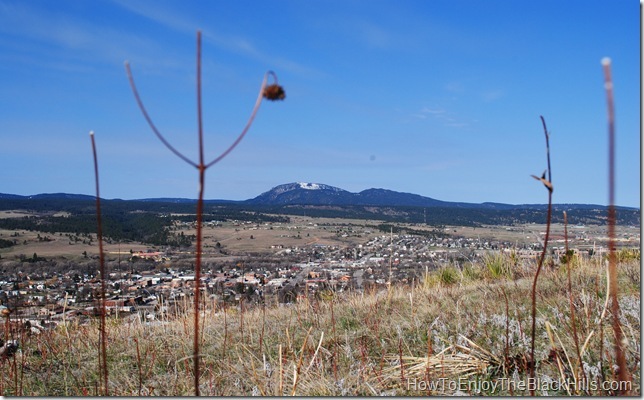 It is only a few miles from Spearfish, SD and the summit offers great views of the area. 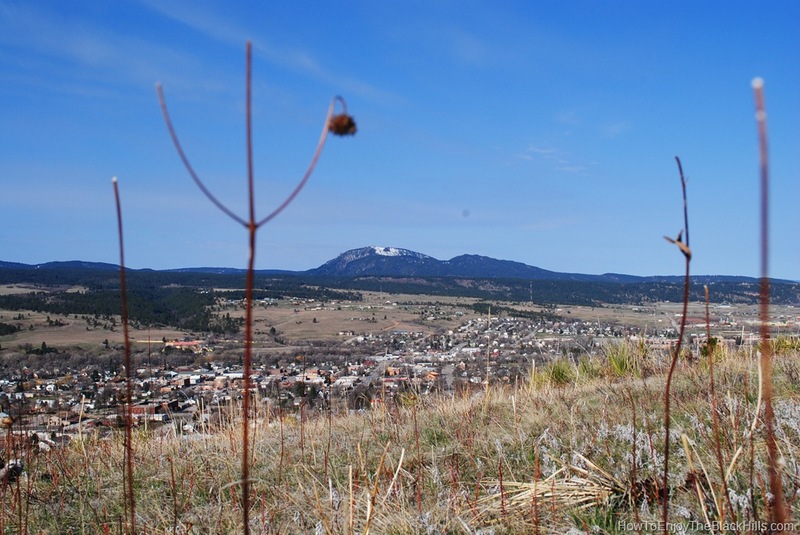 Bear Butte, Spearfish Mountain and Terry Peak can all be seen from the top. Crow Peak is the English version of Paha Karitukateyapi. That means: the hill where the Crow were killed. The name is from a battle between the Sioux and Crow Indian in which the Sioux were victorious. The trail is just over 3 miles long, plus a 1/2 mile spur to Beaver Ridge. Hikers, horseback riders and bicycles are allowed on the trail, no motorized vehicles. There is a elevation gain of about 1500 feet, so it is up hill all the way to the top and the Forest Service rates the trail as difficult. The views are worth it, but plan on this hike taking much of your day. Bring plenty of water and snacks. How do you get to Crow Peak? In Spearfish, head north on Main Street. Turn left on Hillsview. Hillsview will meet up with Forest Service Road 214, follow that to the trailhead (about 7 miles). Here is a video put together by a local college student. It covers all you’ll need to know to hike Crow Peak. Lookout Mountain Park is 756 acres in Spearfish for hiking and biking. Or, just head into Spearfish Canyon and try something like the Rouglock Trail. There is no shortage of hiking when you are basically surrounded by the Black Hills National Forest. Have you been up Crow Peak? What is your favorite part?